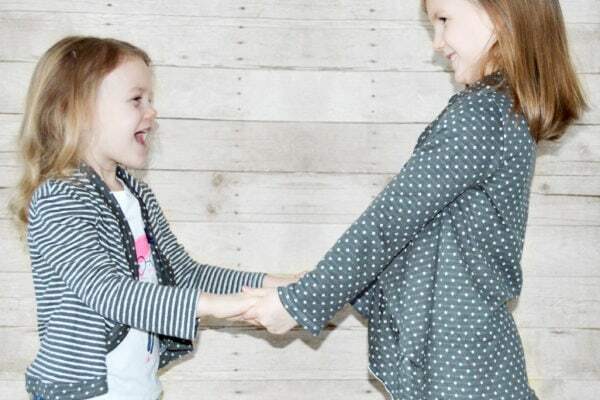 This great value pattern bundle includes Ladies sizes XXS to 5XL , and Child sizes newborn to 12 years sizing. 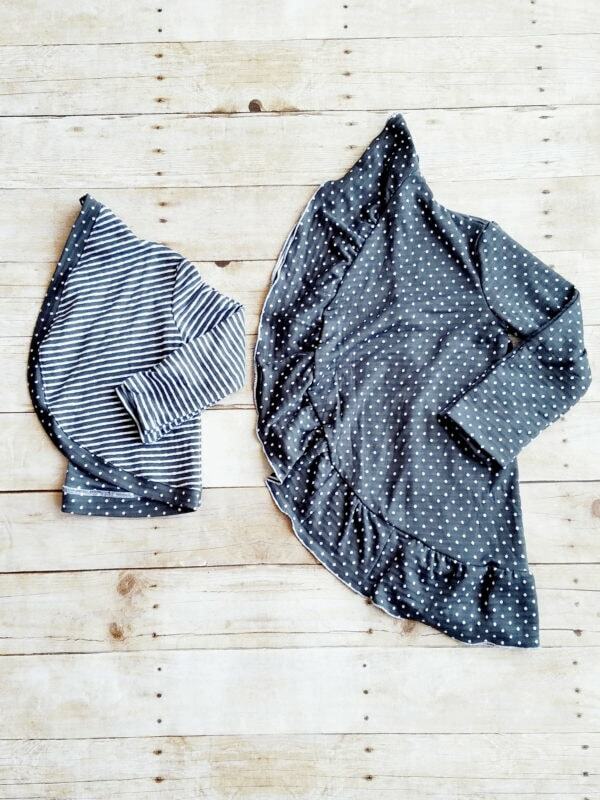 The Circle Cardie Bundle! This bundle includes the ladies and girls circle cardie pattern. 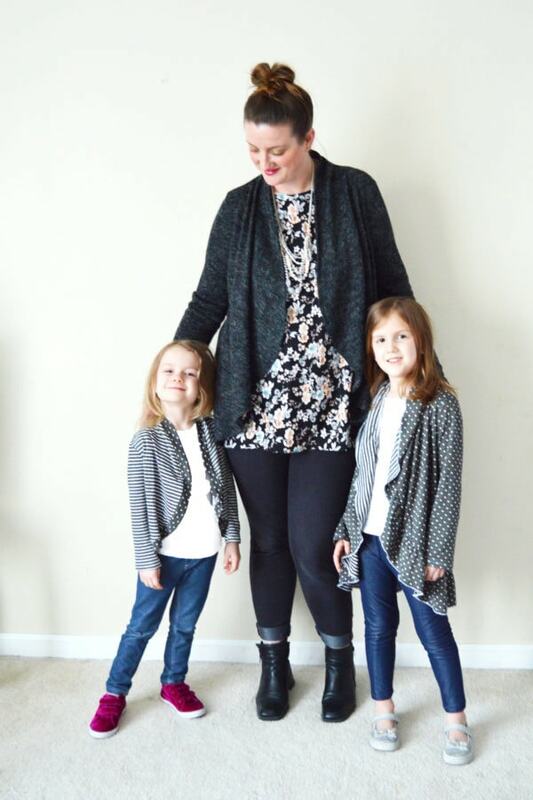 This cardigan pattern is a quick, easy sew with stunning, stylish results! The gorgeous waterfall drape down the front makes it perfect for both drapey fabrics and comfy cosy ones with a flattering comfortable fit. 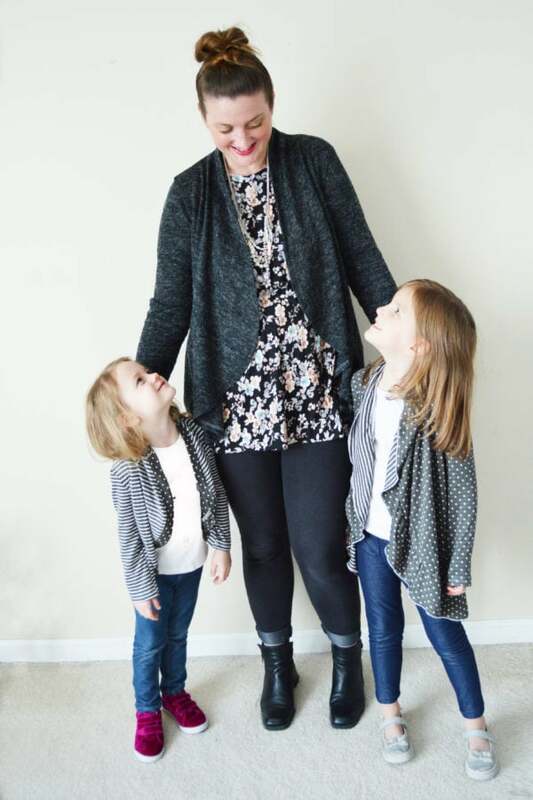 From printing to cutting out to finishing, this cardie is so fast and easy to make, you’ll want one in every color! 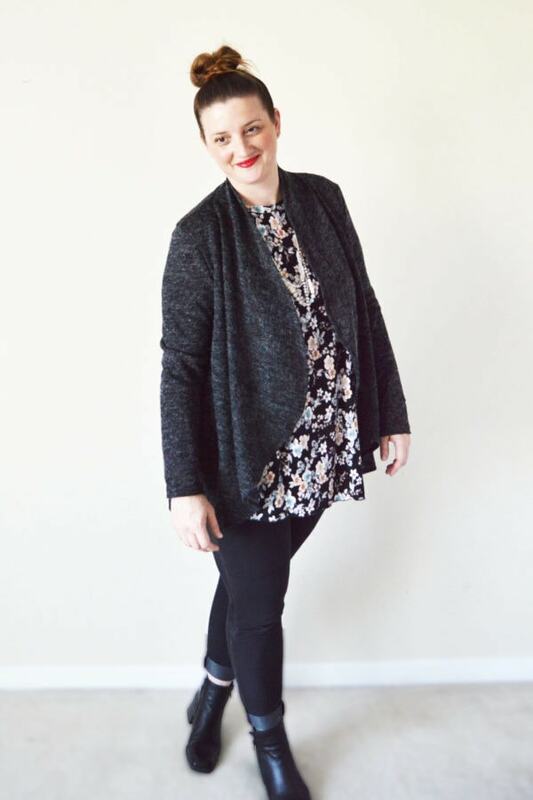 Wear it sleeveless for the vest look, pick the short plain option for a flattering waterfall cardigan, or go for a long cardie with a ruffle and nip it in at the waist with your fav belt. You really can make and wear this any way you like. 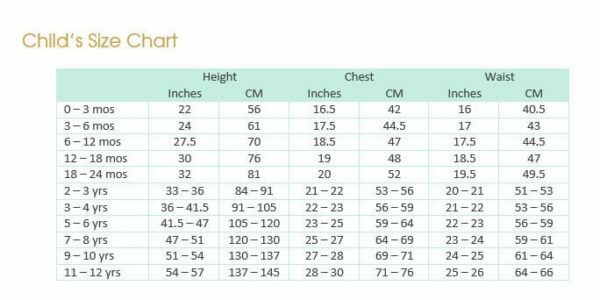 Sizes – Pattern includes Ladies sizes XXS to 5XL and Child sizes newborn to 12 years. See the size chart in the gallery above. 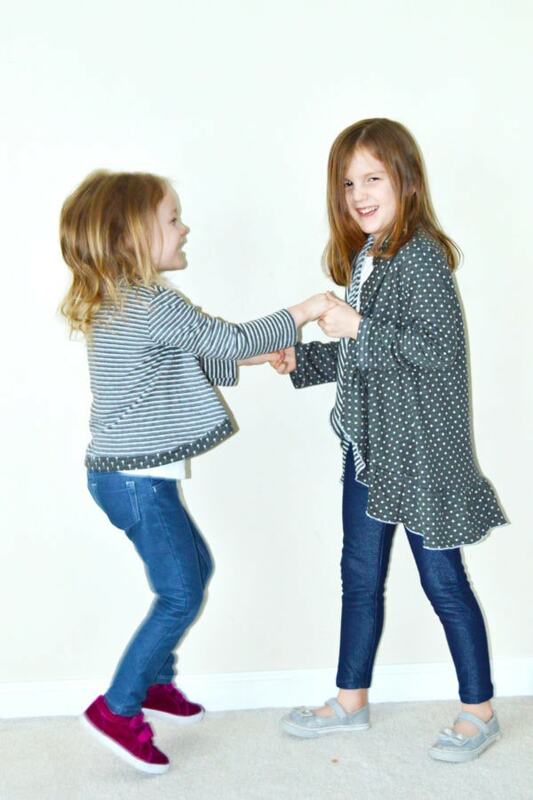 The Rebecca Page Circle Cardi is a quick, fun and flattering pattern to make. 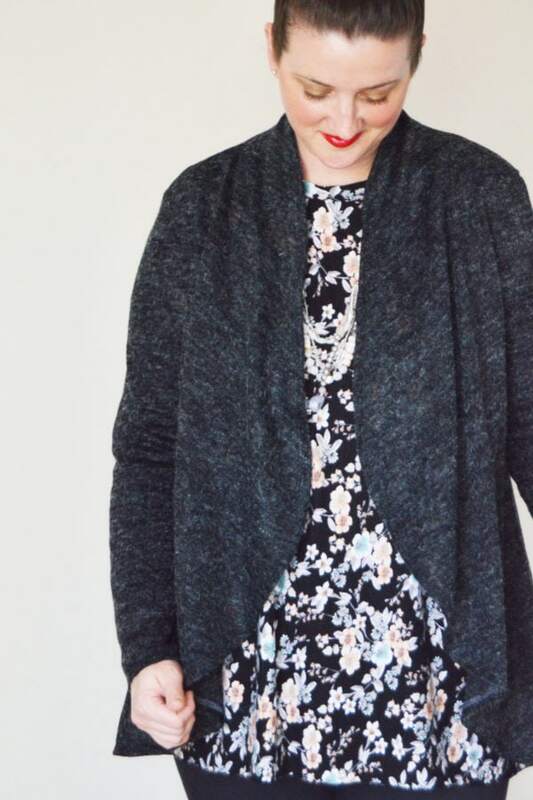 From a simple short circle vest to a long and ruffled long sleeve cardi there are many options to make this your own. 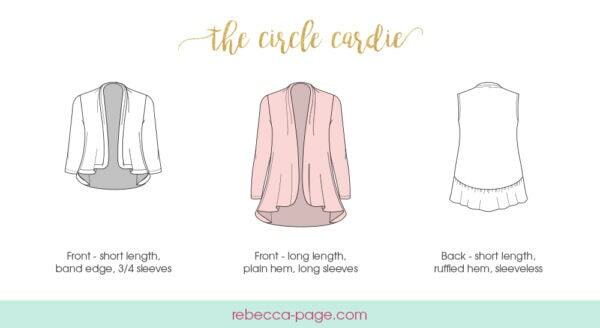 It’s an easy closet staple with typical Rebecca Page instructions. There are plenty of photos and details within the tutorial to guide you through! I loved making this. It was super easy to cut and assemble. I like the options for the sleeves and hemming. My daughter loves wearing hers around to show off. 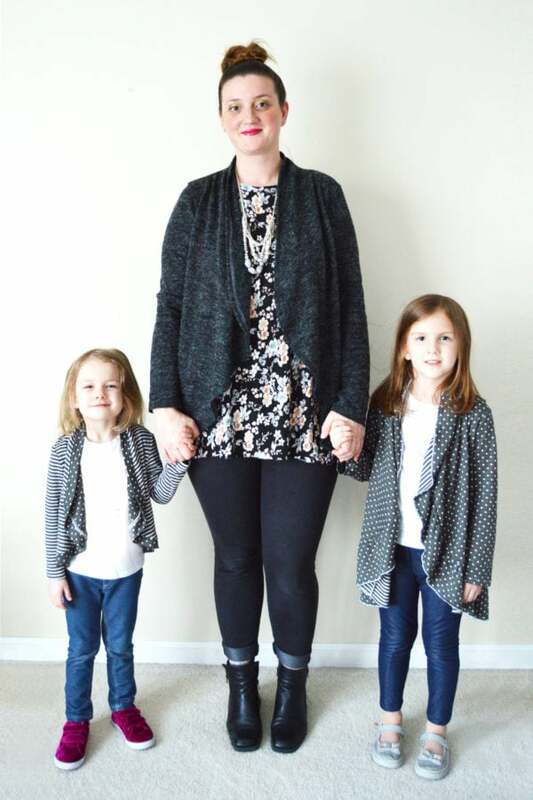 This cardi was the easiest and quickest I’ve made to date. 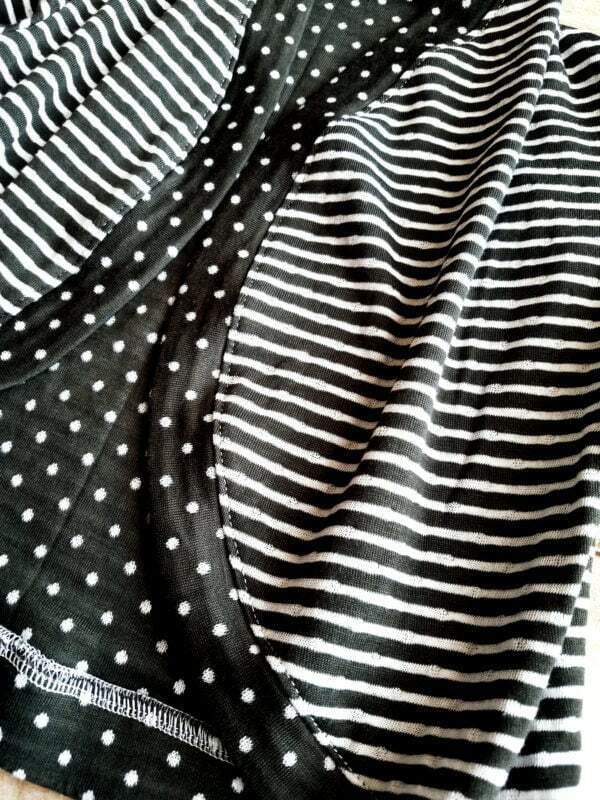 It flows perfectly and I love the option for a back seam if I don’t have enough fabric for a folded piece. The ruffles and band are fun options I will definitely make soon! I need one for every day of the week! As usual, the instructions are easy to follow and detailed – I didn’t find any of the steps confusing. Having the coloured lines for the steps of the shoulder seams is great for those of us who are learning or exhausted. I still can’t believe I made my first one from paper pattern piecing, cutting, sewing., to finished in about an hour! I love this pattern! It’s so quick to sew up, and so beautiful on. I’m going to be making many more! I’ve already made two and have another two planned already. 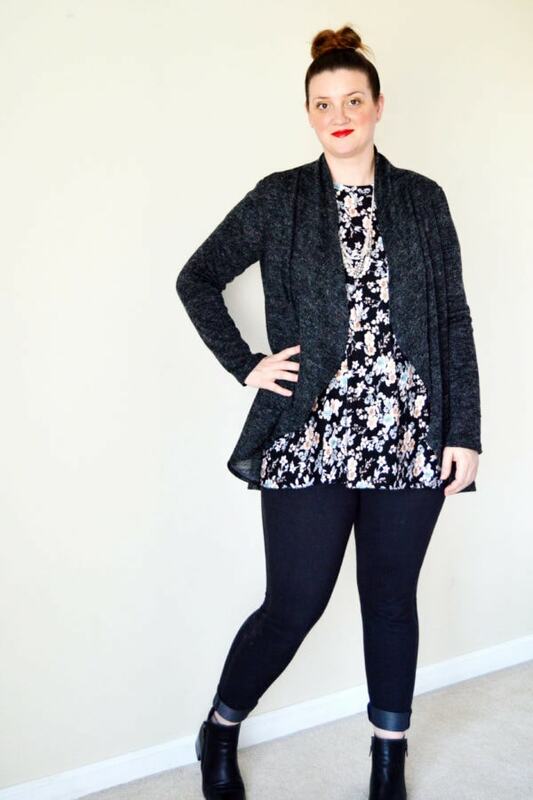 It’s wonderful to finally have a pattern for a cardie in my size that fits well and is flowy and feminine, but doesn’t add extra bulk where I don’t want it. 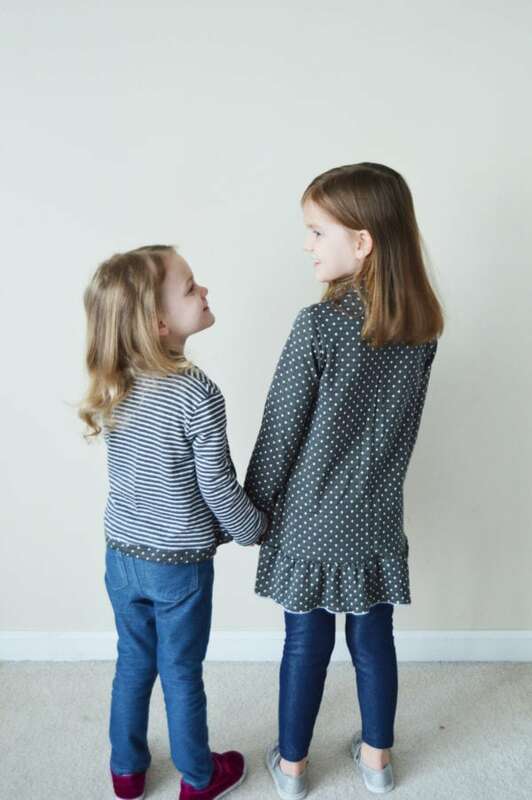 I love the options you have with such an easy sew! This was also a very quick sew, in under an hour you have a new piece. The fit is perfect and you can wear dressed up or casual. This pattern is total LOVE! 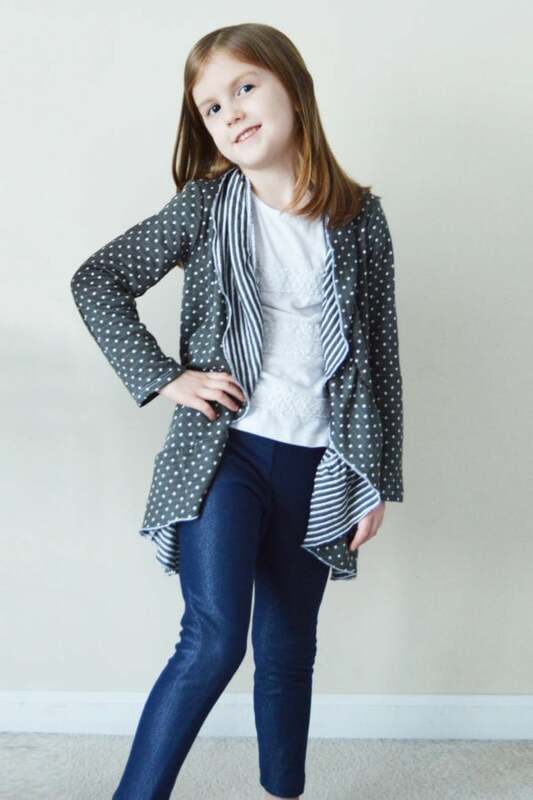 I love the Circle Cardigan, It was very very fast to assemble the pattern and to sew. The result is very satisfactory. 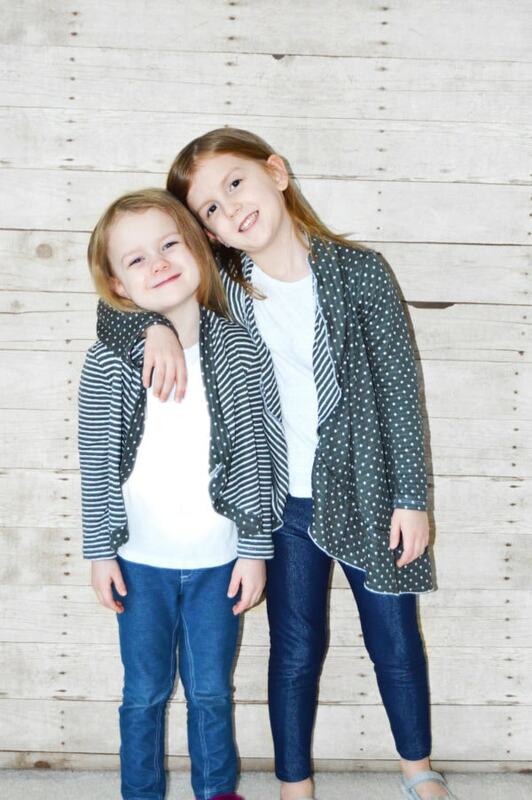 I started with one for me and after that I sewed one for each of my girls! 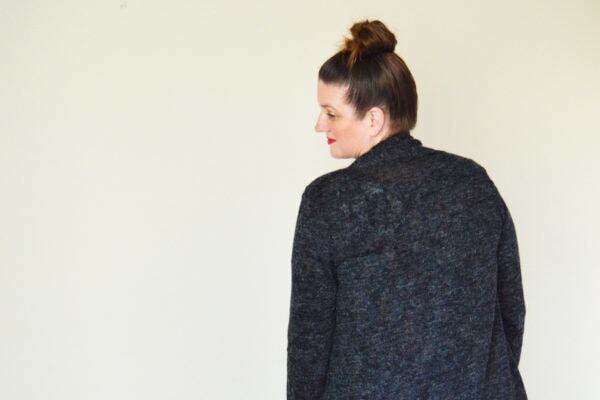 The Circle Cardie is a quick, fun sew that offers so many options, it’s sure to be a pattern you come back to again and again! 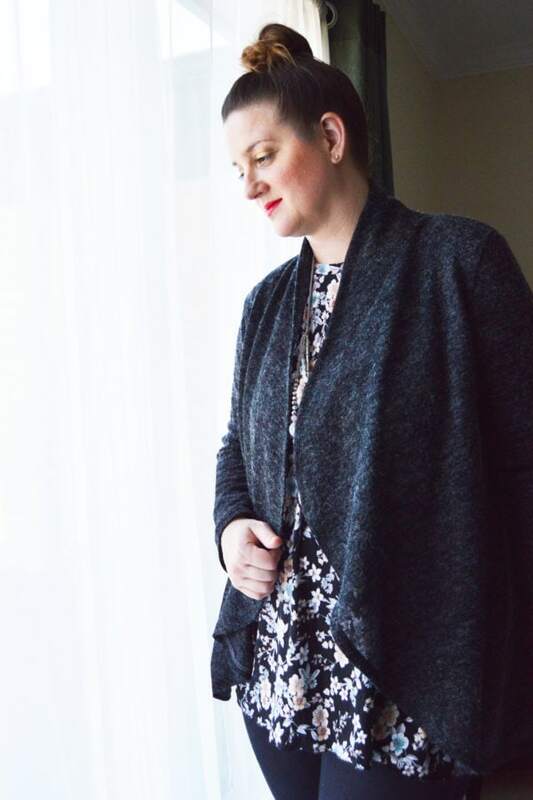 By using different fabrics and mixing up the cardigan length, sleeve length, and finishing options, you can use this pattern for a casual or dressy look. I love being able to get different looks and uses out of the same pattern! The pattern itself is very clearly written and easy to follow. Love it! This is an AMAZING pattern. Simple, straight forward, easy sew that comes out super nice. It’s a quick sew that looks fabulous. There are NO downsides. this comes together so quickly and is the most comfortable loose cardie I have. My daughter has requested many more. This is a fantastic sweater! Easy to sew, fancy, and warm. I have made at least 8 this year. It is my “go-to” gift for special people. Two things I do differently: I added patch pockets, and at the back of the collar, I fold it in half, to the inside, to cover the serged seam in the middle of the collar. I put my label right there.